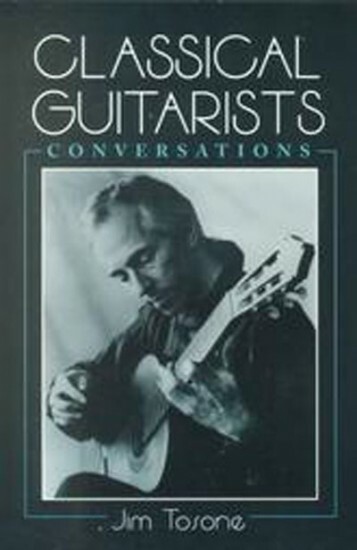 Classical Guitarists: Conversations is the first book to bring together in-depth first-person interviews with today's pre-eminent classical guitarists and the composers with whom they have worked closely. Along with the interviews are reviews of the artists' recordings and concerts, and discographies of their recordings. Guitarists include: Julian Bream, John Williams, Eliot Fisk, Sharon Isbin, David Starobin, David Tanenbaum and David Leisner. Composers include: Richard Rodney Bennett, and Pulitzer Prize winners George Crumb and Aaron Jay Kernis. Also featured is an interview with Harold Shaw, the greatest artist manager in the history of the classical guitar. Jim Tosone is a Contributing Editor and Staff Reviewer for Guitar Review magazine, where his articles and reviews have appeared regularly since 1991. He has also written for Soundboard magazine and authored the classical guitar entries for the three-volume Music in the Twentieth Century. His transcription for guitar of J. S. Bach’s Suite No.1 for Solo ’Cello was premiered at the 1991 Toronto Guitarfest. Tosone has played classical guitar for over 20 years. He studied privately with Dr. Nicholas Goluses, who at the time was Chairman of the Guitar Department at the Manhattan School of Music. He has also performed in master classes for internationally renowned guitarists Hubert Käppel, Raphaella_Smits and David Tanenbaum. Manufactured by: McFarland & Co.